In the aftermath of his three consecutive field works to British Columbia and Washington State between 1897 and 1899, Harlan Smith can easily be dubbed the Father of British Columbia Archaeology. Franz Boas was an anthropologist, not an archaeologist. To verify his belief that peoples living in northeast Asia were linked along ancestral, linguistic and cultural lines to peoples of the Pacific Northwest, he needed an archaeologist to literally help him dig up the facts. Harlan I. Smith was selected as an expert who could record forms of heads, body proportions, etc., particularly in terms of skeletons, for comparison with archaeological investigations to be conducted in northeast Asia by Gerald Fowke and Fillip Jochelson. Smith would also help examine artifacts, make casts and take photographs. After ten days, Smith relocated to Kamloops where Father Jean-Marie Raphael Le Jeune used his facility with the Secpemwec language to allow Smith to obtain casts and photographs of seven people, plus exhume some skeletons. Initially the Shuswap opposed Smith's grave-digging and would not permit Smith to take any bones for study in New York. This altercation in 1897 perhaps marks the beginning of formalized grave-robbing in British Columbia. Smith headed north to the Skeena River to meet Boas at the end of July, taking photographs with Boas in Prince Rupert, before proceeding to Bella Bella (Heiltsuk) to briefly work with Livingston Ferrand. When Smith was with Boas, he accomplished little archaeological work because this was not Boas' primary field of interest. In Alert Bay and Rivers Inlet Smith once more helped Boas make casts of people and take photographs before leaving from Fort Rupert for the Fraser River. Born in Saginaw Michigan in 1872, Harlan Ingersol Smith had received a Bachelor of Arts degree from the University of Michigan in 1893. During the early 1990s he had worked as a curatorial assistant in the Peabody Museum at Harvard University; as an anthropology assistant to the Columbian Exposition at the Chicago World's Fair, as a curator of anthropological collections in the University of Michigan museum and as an archaeology researcher in Michigan for the Archaeological Institute of America. Unable to afford pursuit of a Master's degree, he had accepted a job at the American Museum of Natural History in 1895, where he met Boas. Smith, Harlan. The Archaeology of Lytton, British Columbia (New York: Jesup North Pacific Expedition Publications, Vol. 1, Pt. 3, 1899; New York: AMS Press, 1973). Smith, Harlan. Archaeology of the Thompson River Region, British Columbia (New York: Jesup North Pacific Expedition Publications, Vol. 1, Pt. 6, 1900; New York: AMS Press, 1973). 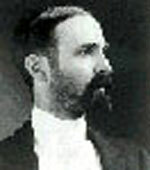 Smith, Harlan I. & Gerard Fowke. Cairns of British Columbia and Washington (New York: Jesup North Pacific Expedition Publications, Vol 2, Pt. 2, 1901; New York: AMS Press, 1973). Smith, Harlan I. Shell-Heaps of the Lower Fraser River, British Columbia (New York: Jesup North Pacific Expedition Publications, Vol. 2, Pt. 4, 1903; New York: AMS Press, 1973). Smith, Harlan I. Archaeology of the Gulf of Georgia and Puget Sound (New York: Jesup North Pacific Expedition Publications, Vol. 2, Pt. 6, 1907; New York: AMS Press, 1973). [BCBW 2005] "First Nations" "Archaeology"